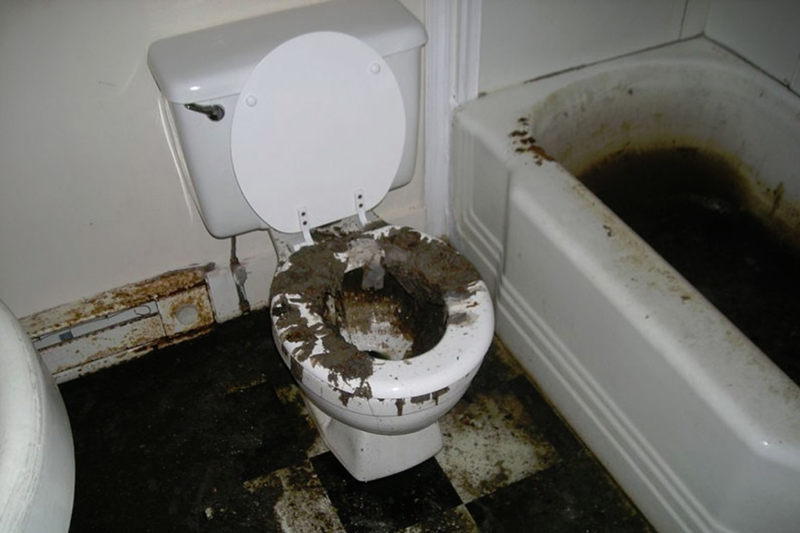 SewerScan helps you avoid potential sewer backup! 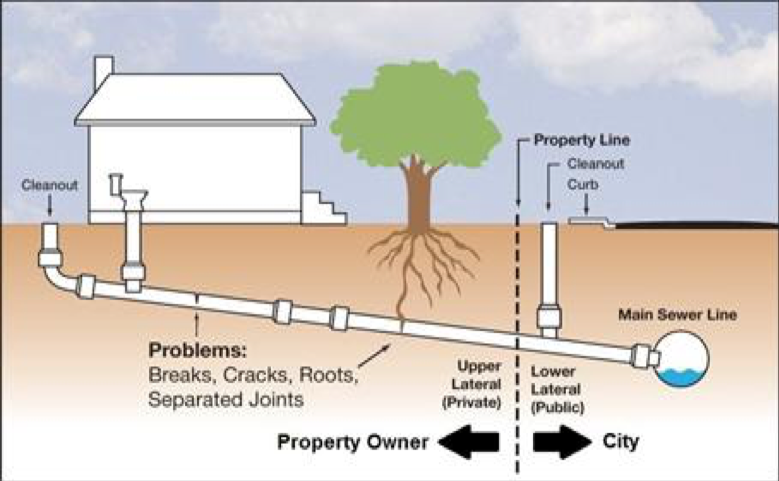 The main sewer line from the home to the city connection is the responsibility of the home owner and repairs can cost anywhere from $5,000 to $50,000. 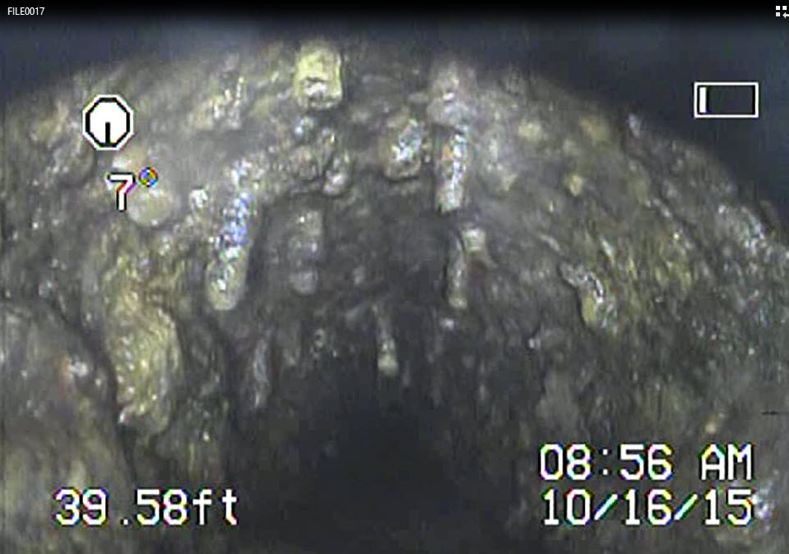 A plumbing company charges $500+ for a SewerScan, our fee is only $189 when added to your home inspection. 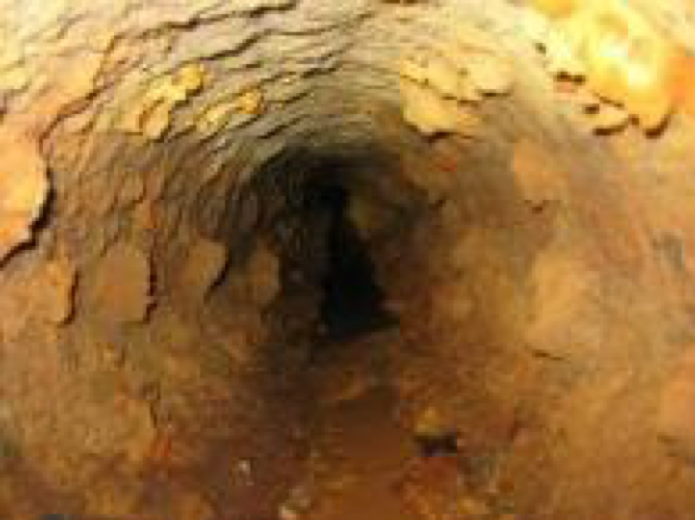 A regular home inspection excludes any systems that are not visible, such as the sewer line. The only testing that can be performed, is running water down the drain and making sure that water goes through it. 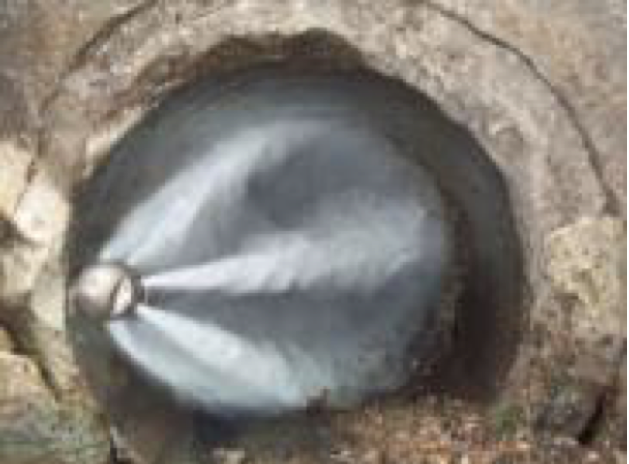 However, it is possible to have a 75% blockage with roots penetration and the water is still flowing through it. Water will drain during a home inspection with only a few gallons of water going down the drain line. But when a family uses the house systems fully, taking a shower, draining a tub, dishwasher, a washing machine, or flushing a toilet, it might overwhelm the partially clogged waste pipe and backup into the house. 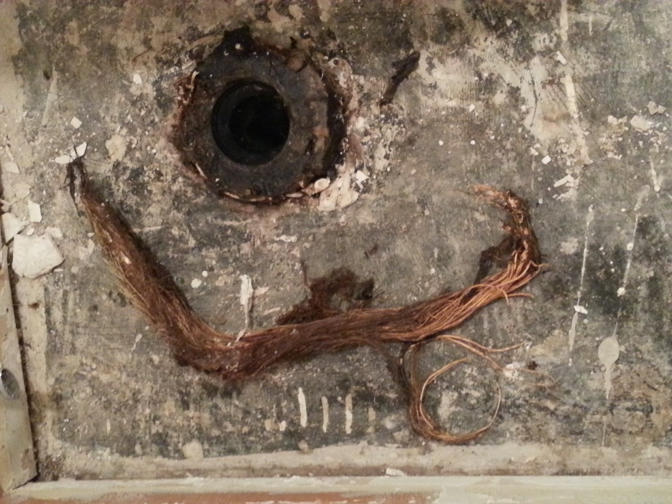 Root Growth: There is root growth present which is commonly a result of a damaged drain line or void in a joint. 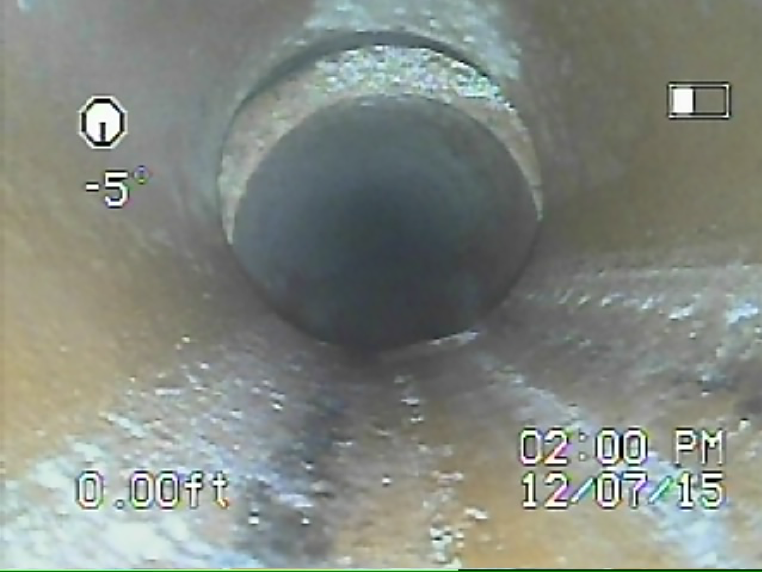 Offset: There is an offset in the drain line where two pipes are not properly connected and there is a „lip“ which can cause clogging and leakage. 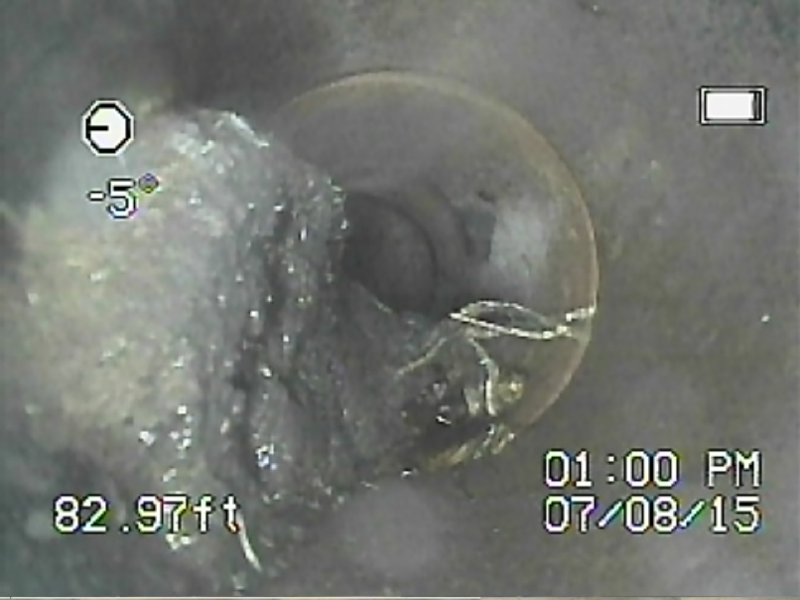 Belly: There is a low point in the drain line which will promote clogging. Debris: There is debris build up in the line, we recommend clearing as needed to prevent further clogging. 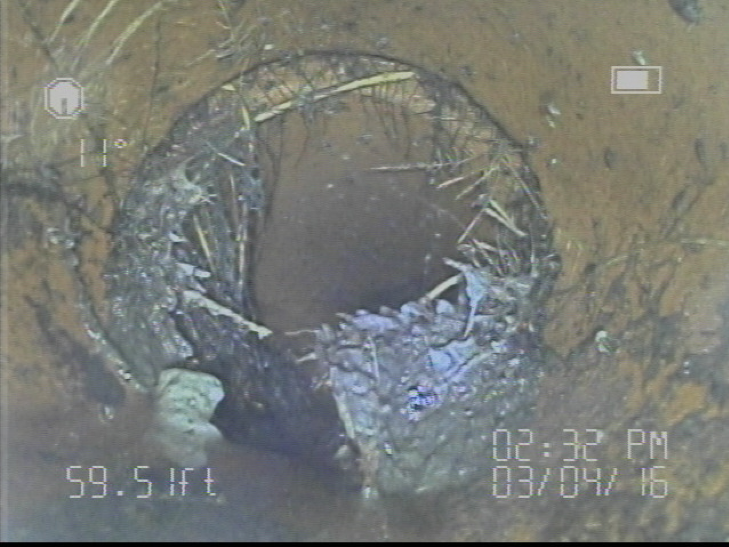 Scale Buildup: There is scale build up inside sewer line which will promote clogging. 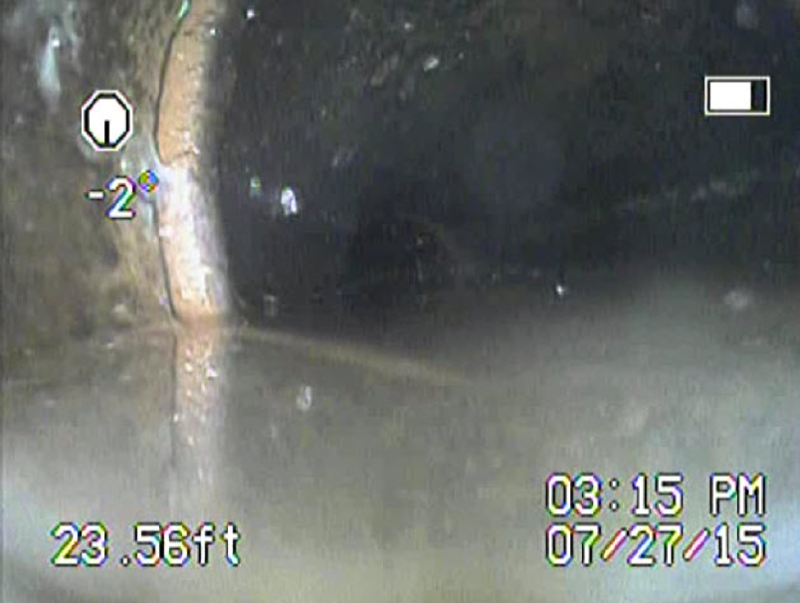 Damage Line: There is a section of damaged drain line found. We recommend repair of all damaged lines. 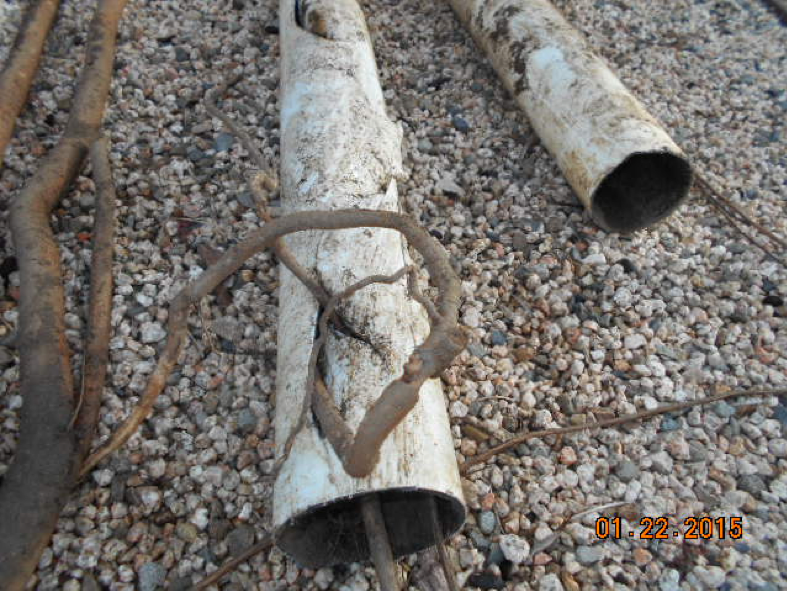 The pipes are a source of the water, nutrients, and oxygen that roots need. 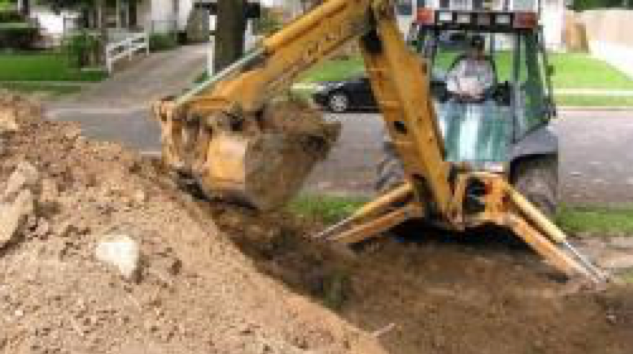 And when a root finds a leak, it will quickly grow into the pipe and obstruct the flow of waste, causing blockages, broken pipes and other serious headaches for homeowners.